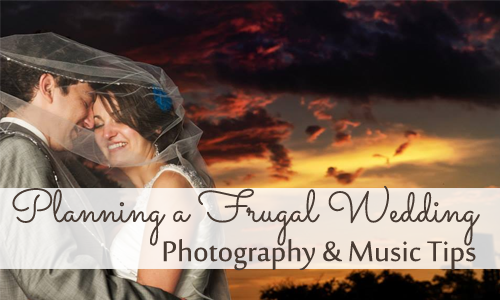 Are you planning a wedding on the frugal side? A few hang ups is finding a way to make photography and music affordable. Here are 10 tips that will help you out! Capturing your wedding memories into beautifully framed photographs is a must! But…we are on a budget. Prices for wedding photography vary, but the average spent is $1,754. I checked in my area and some of the top photographers packages started (yes, started) at $5,000! It’s a big business (around $3.7 billion big). This may seem like you’re going to be stuck paying full price, but there’s a few ways you can use the size of this industry to your budget’s advantage. As a I said before, the wedding photography business is booming; however, not all photographers are equal! This means good and bad for couples seeking a photographer. The good: as all photographers are not equal, their prices will surely match. Top photographers have no trouble filling their work schedules, but a new photographer does not a have a base of work or a reputation to get him/her work. The bad: rookies are rookies for a reason. Your job is to figure out why. Have you caught them as they are breaking into the industry? Or, do they lack talent or accountability? If you can find a new photographer that is just right, you two will be greatly helping each other out. New photographers in a scramble to establish themselves will sometimes offer package deals where you can get engagement photos, bridal portraits and the entire wedding day covered for the cost of other photographers for only the ceremony! The lesson here: it’s worth shopping around. Reason #2 to shop around. After you’ve contacted a few photographers and recorded their prices, you have ammo to possibly save more. Negotiating doesn’t guarantee savings, but it never hurts to try. Saturdays are a big day for weddings and other big events. So venues, photographers and even catering will be more expensive that day. I’ve been to beautiful weddings on Sundays and even on Fridays and I’m sure they were scheduled to save money! From the view of a photographer, shooting a Friday or Sunday wedding could be very advantageous because they could possibly fit two weddings into one weekend. Another way you and your photographer can help each other. You save and they profit! This is a good one. If your photographer charges by the hour, consider limiting their time. Have them there for the entire ceremony, pictures afterwards and then only part of the 2-4 hour long reception. Could save you a lot! **Updated – When looking for a photographer, make sure your agreement includes a disk of edited images. Take this and take care of printing your images on your own. I’ve seen prints for a penny each and photo books for FREE! There are too many online photo deals to be paying someone else. 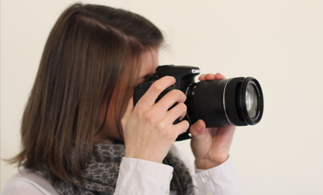 Be absolutely sure that the agreement between you and your photographer allows this! I know it’s your wedding, but copyright laws give all rights to the photographer. The key word will be that you have permission to use your digital images however you like. Some photographers will be against this, so make sure everything is very clear well before the wedding. See the latest photo deals on photo books, enlargements, prints and more. Hiring a close friend to take care of all your photography needs is an option. I’ve heard mixed reviews from people. Some knew somebody who was willing to snap pictures the entire time and had the talent to make them look great. While some of my other friends later regretted not hiring a professional. If you’re going to go the friend route, give them an incentive to do a good job. Pay them! I’ve heard figures of $100-$500 thrown around on top of one friend who payed using Starbucks gift cards. The biggest decision to make about videoing your wedding is if you really want to. Your wedding pictures will be displayed in your home and your family’s home for the rest of your life. How many times will you watch the video? If you choose to pay for professional videography, here’s few tips that will keep it on the cheap side. Remember, many of the photography tips will still apply. Pay for all the camerawork but take care of the editing yourself. Editing is very time consuming, so you can negotiate a big price reduction by simply paying a professional for 1 day of work. You then have two options. Learn to edit video yourself through a series of trial and error and “How to” YouTube videos. Or, find a friend who has some skills in that subject. 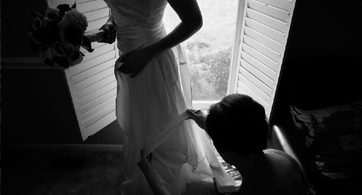 Either way, your wedding video will be tailored to your liking! If a business offers, take care of your photography and video needs with a package deal. Paying for them together tends to be cheaper than splitting it up. 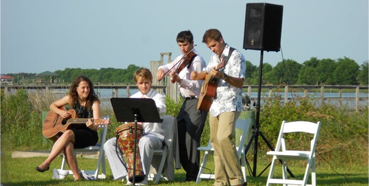 Let your friends share their talents with you and all your beloved as you walk down the aisle. Think about your peers who can strum the guitar, play the violin, or impress with the piano. As long as they can play a few select songs they’re perfect for the ceremony. If you’re struggling to find candidates, think about your friends with kids who take music lessons. This will add a musical and cuteness factor to your ceremony. Although, I’d be sure to hold some sort of audition beforehand. 10. Band or No Band? When shooting for a frugal wedding, hiring bands or professional DJs miss the mark. But no worries, you can provide your own music and still have a fun reception. Provide your own music cheaply by borrowing a sound system. Try your local school, your church or a friend who has invested a lot of money in his home theater. Once you have a set up, find somebody to be in charge of queuing up songs and taking requests. In the end, this can be free! See more ways to save on weddings.